MultiLink hosts a Thanksgiving High Tea for Volunteers! MultiLink recently hosted a Thanksgiving Event to thank our volunteers for the time and hard work donated throughout the year! 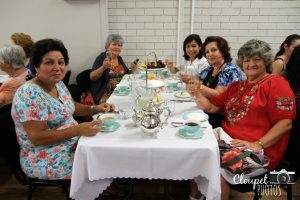 A High Tea was enjoyed by all with delicious food, beautiful music and a lovely gift for all Volunteers. Volunteers provide a wonderful and necessary contribution in assisting staff and clients, their help enables us to support many additional people within our communities – we are happy to say that some of our amazing Volunteers have been with us for decades! THANK YOU Volunteers for all of the time and effort you have contributed towards MultiLink and our clients throughout 2015, we look forward to seeing your safe return in 2016.